What Is a GIST Statement? Proficient readers make inferences while they are reading. Making inferences, or "reading between the lines," is the process of bringing together the reader's prior knowledge with what is written on the page. It also involves making logical guesses about the author's assumptions, purpose and message. The ability to make inferences is an essential part of reading comprehension and must be explicitly taught to students, especially beginning and struggling readers. 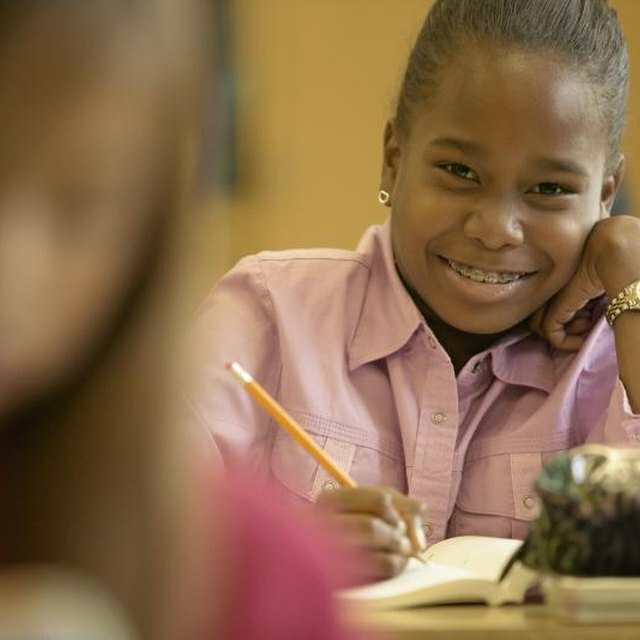 Teach comprehension at the inferential level by asking students questions that guide them to make connections between what is in the text and what they can guess or assume based on what they already know. Distribute a text for students to read. Choose a text that is at the appropriate reading level. Students should be able to decode ("sound out") the words with ease in order to be able to comprehend well enough to make inferences. Have students read the passage independently or with a partner. Then have students listen as you read the text aloud while they follow along. Pause from time to time to ask questions about the text. Identify difficult words and ask students to use context clues to figure out their meaning. In this way, students must infer the meaning of the difficult word from the context. Ask students to make inferences about the setting of the text. Have students identify the setting (time and place), and ask them what they already know about that place and time period. Have students add details about the setting that are not written in the text. In this way, students apply their prior knowledge to infer details about the setting. Ask students to make inferences about the characters or people in the text. Ask students to explain why they think the character did something. Allow different students to offer multiple interpretations of the character's actions. Point out something that one of the characters said, and ask for volunteers to read the quotation aloud with the intonation they think the character would have used. Allow different students to read the quotation aloud in their own ways, and try to come to a consensus on which is closest to the character. Ask students to make inferences about the author's message or point of view. Have students identify clues in the text that might show how the author feels about the topic or the characters. Ask students if they think the author is sending the audience a message, and if so, what that message might be. Allow different students to offer multiple interpretations of the text. Write an inferential question about the text on the board and have students copy it at the top of a journal page. Have students fold the journal page in half vertically, using the folded line as a divider. Have them write on the left side, "What the Text Says," and have them write on the right side, "What I Know." Have students look for sentences in the text that they think answer the question. Have them copy these sentences under the heading, "What the Text Says." 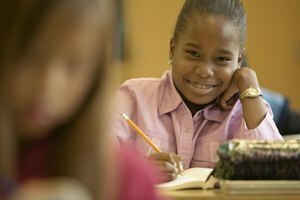 Ask students to think about details or facts from their prior knowledge that they think answer the question. Have students record these under the heading, "What I Know." Have students create a new heading at the bottom of the page that says, "My Answer: What I Infer." Have students think about the sentences they copied from the text and the facts they already knew. Have them write an answer to the question that combines both under the the new heading. Their answer should be in complete sentences. Elizabeth Earne is a writer and teacher. Her writing has appeared in "San Diego Family Magazine" and on various websites, with a focus on education, parenting and travel. Earne has taught writing to children for more than five years. She holds a Bachelor of Arts, as well as certification in cross-cultural language and academic development (CLAD). 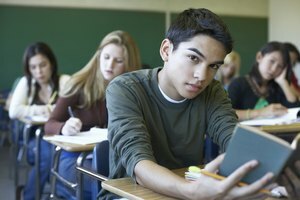 How Does Critical Thinking Relate to the Process of Reading Comprehension? Earne, Liz. 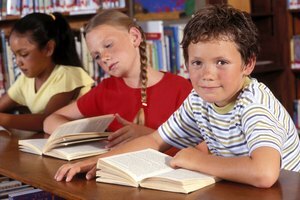 "How to Teach Comprehension at the Inferential Level." Synonym, https://classroom.synonym.com/teach-comprehension-inferential-level-8241755.html. Accessed 20 April 2019.